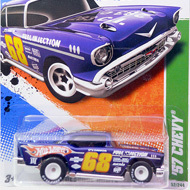 3/15 from the 2011 Super Treasure Hunt series. 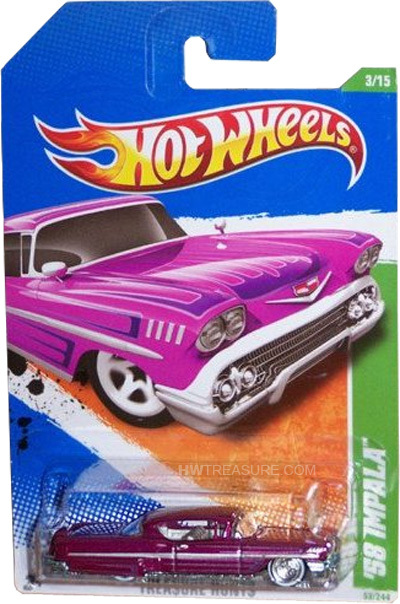 The Impala has magenta Spectraflame paint embellished with purple, pink, and silver graphics. 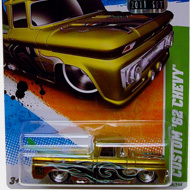 It has clear windows, a white interior, Real Rider Steelie wheels with white wall tires, and an unpainted metal Malaysia base.